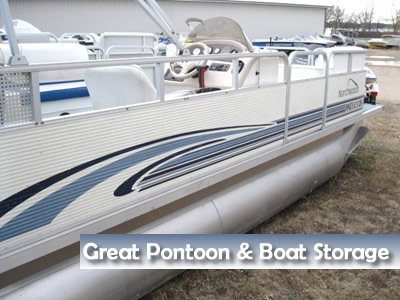 You probably have a great deal of money invested in your marine equipment. When you are looking for a place to store your fishing boat, ski boat or pontoon you should look no further than Ed's Marine. Our storage facilities are located in several convenient locations throughout the lakes area. Don't trust the storage of your marine equipment to anyone else because we make sure your equipment is stored in a nice Foltz Building. Several storage facilities and locations to choose from.